So, long story short, big pictures ruin how PHO looks. How about making it so the pictures are automatically resized to something that the page can handle correctly while still making it look fine or something? I think that's possible, right? Or maybe allow us to choose custom resolutions when inserting the image in the post. 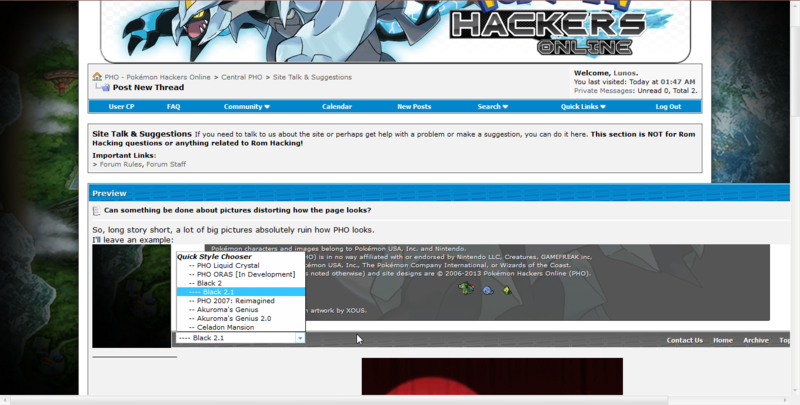 I know that vBulletin is capable of this as the Webmaster of Wahack, another community made with vBulletin, implemented the feature after I suggested it.